Colorful Cheaper Candle have many colors,such as red,yellow,blue,pink,purple,green,etc.Hot Sale .Colorful Number Candle is made of paraffin wax.Letter Birthday Candles are mainly used for birthday party.We have different sizes for your choose.Birthday Candles are hot sale in the market. Looking for ideal Hot Sale Letter Shape Candle Manufacturer & supplier ? We have a wide selection at great prices to help you get creative. 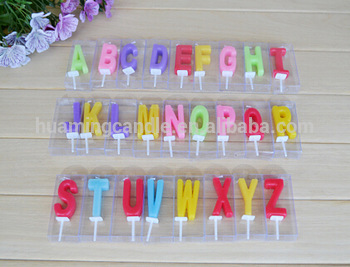 All the Colorful Letter Shape Candle are quality guaranteed. 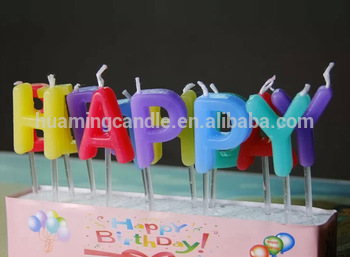 We are China Origin Factory of Letter Shape Birthday Cake Candle. If you have any question, please feel free to contact us.